The Unscheduled Ministers report lists the names of ministers who were not scheduled for service in a selected ministry. For each listed minister, the report provides reasons why the minister could not be scheduled. 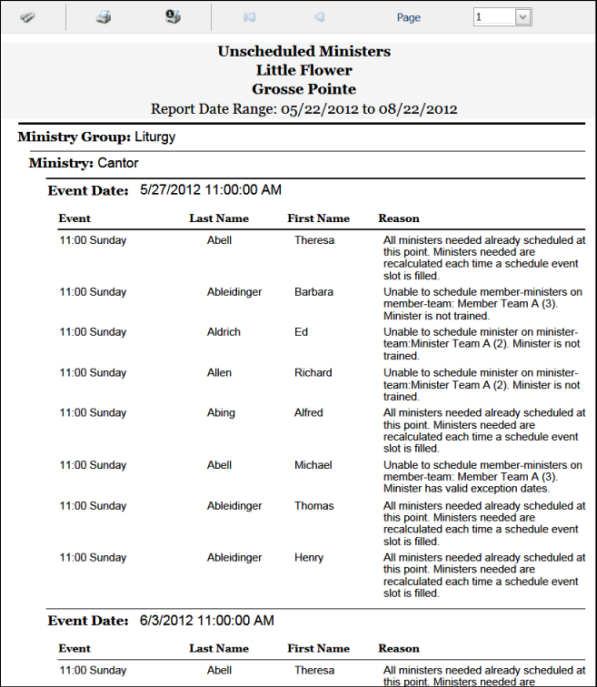 To set up an Unscheduled Ministers report, select the desired filter options and a date range. To organize the content in the generated report, select the desired Group Sorting and Detail Sorting options. The Reason column provides an explanation of why the minister cannot be scheduled.